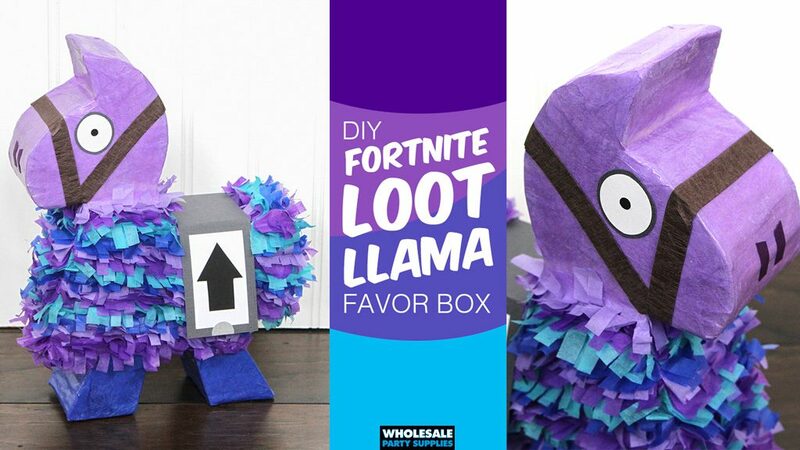 If you want to feel like a winner at party planning, then these Loot Llama favor boxes will put you in the top spot! 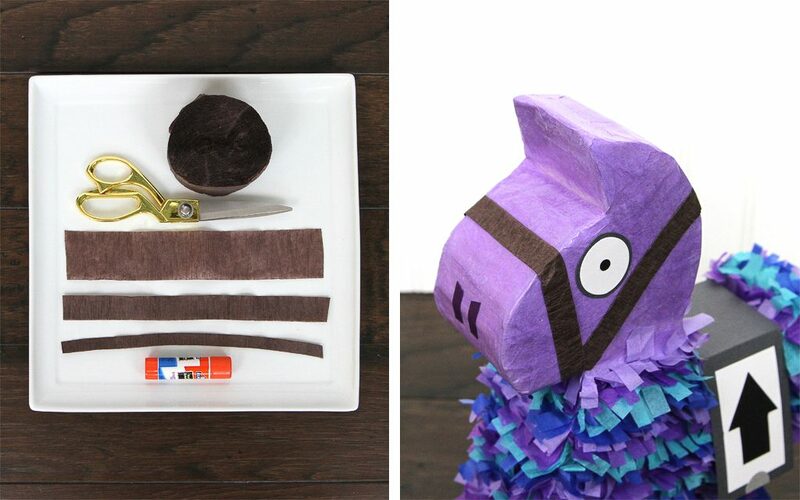 After the party play is over, send guests home with this treasure filled favor box that everyone will recognize as the coveted Loot Llama from the game Fortnite. The game has become a pop culture phenomenom, bringing the world’s gamers together in a battle royale. 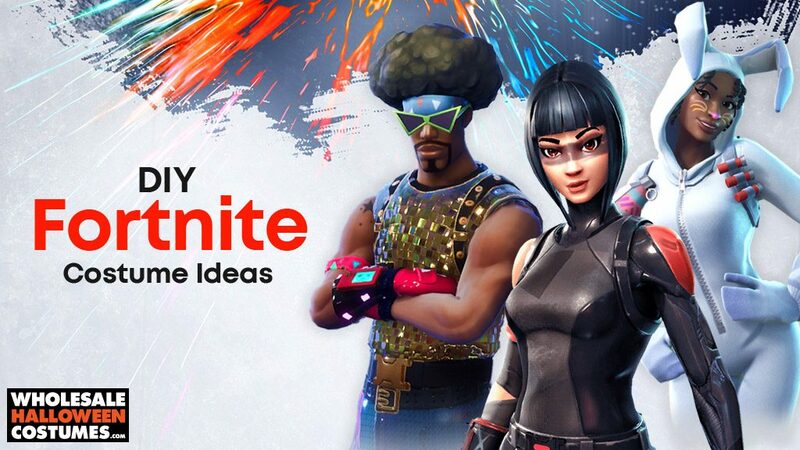 We’re certain Fortnite as a party theme is the next logical progression so we’re getting a jump on things with the DIY styles we’re known for! 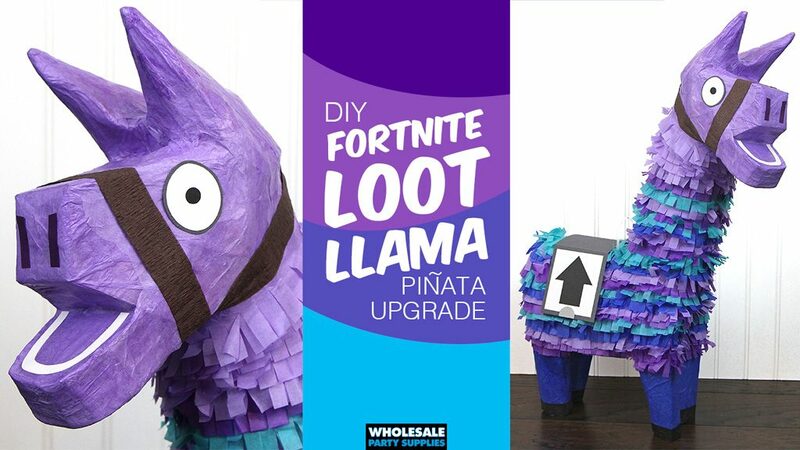 We recently showed you how to convert a donkey pinata into a Loot Llama pinata. 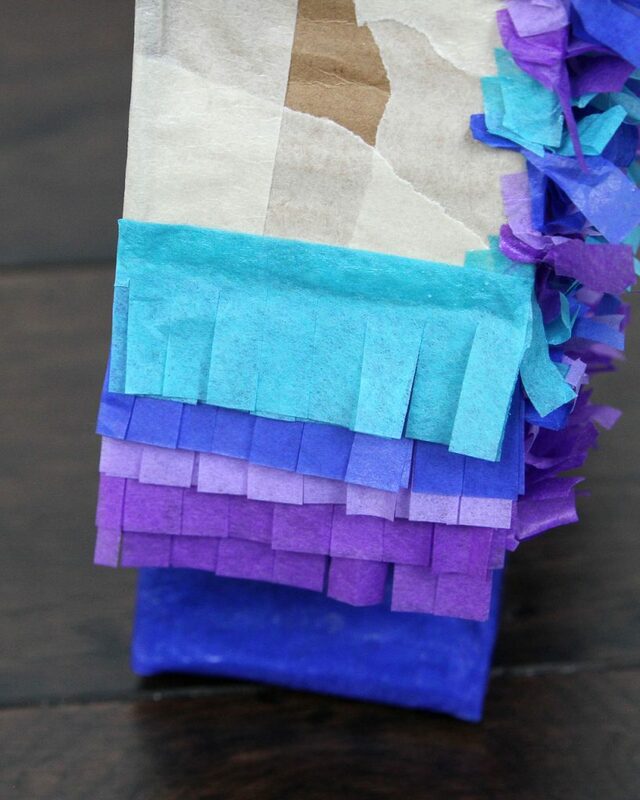 This favor box is constructed like a mini-pinata so that it can be packed with plenty of treats and trinkets. 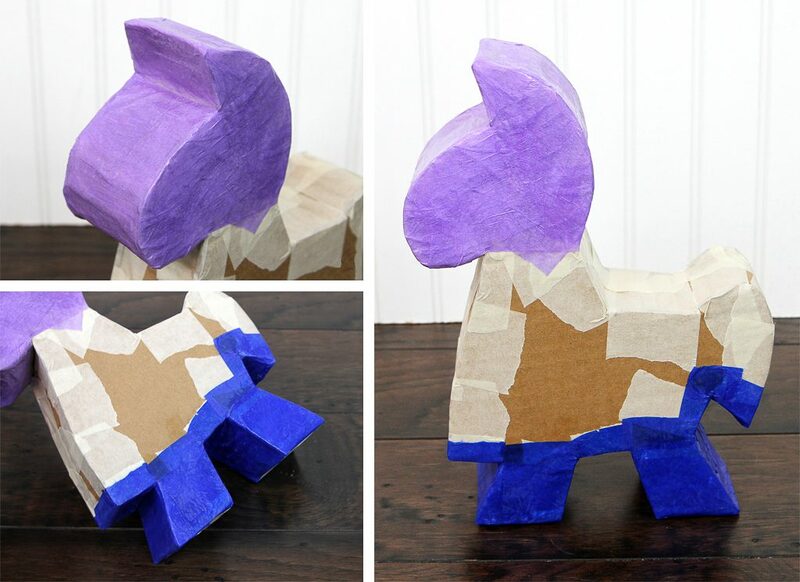 Follow along with the steps below to see how to bring this goofy little llama to life. 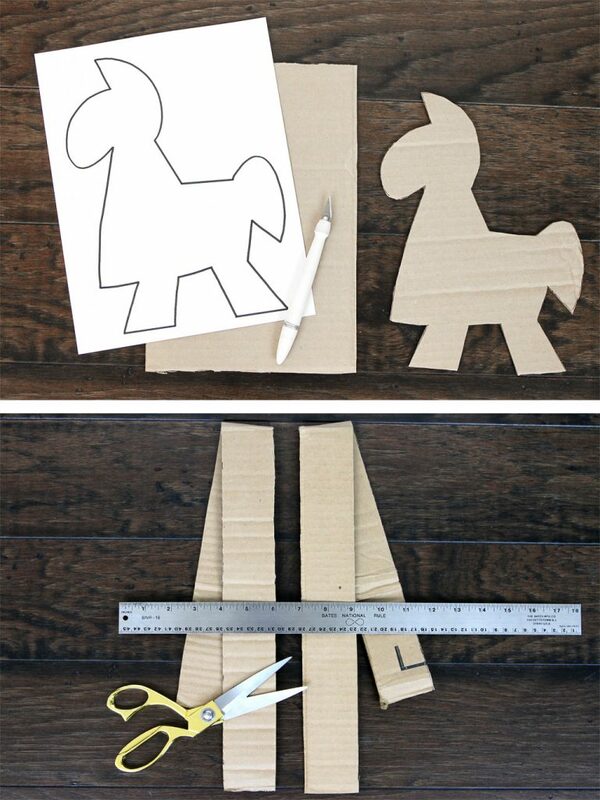 Use the template to cut llama shapes from cardboard. 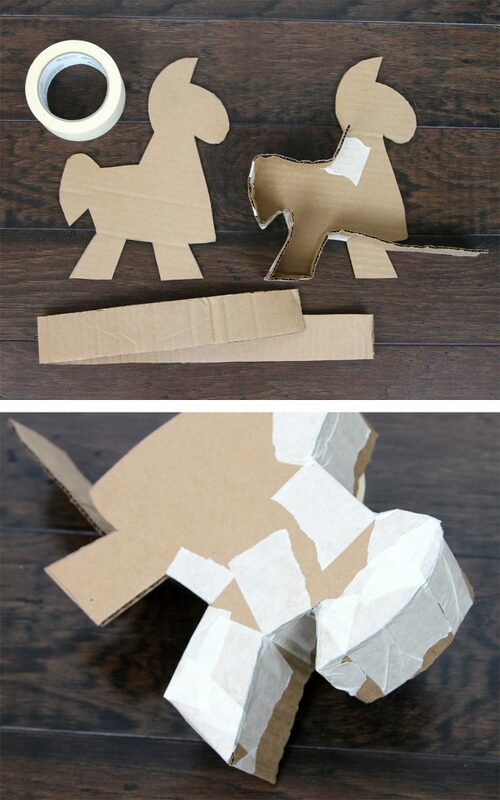 For sides, cut 2” cardboard strips. We used about 45” for our llama. 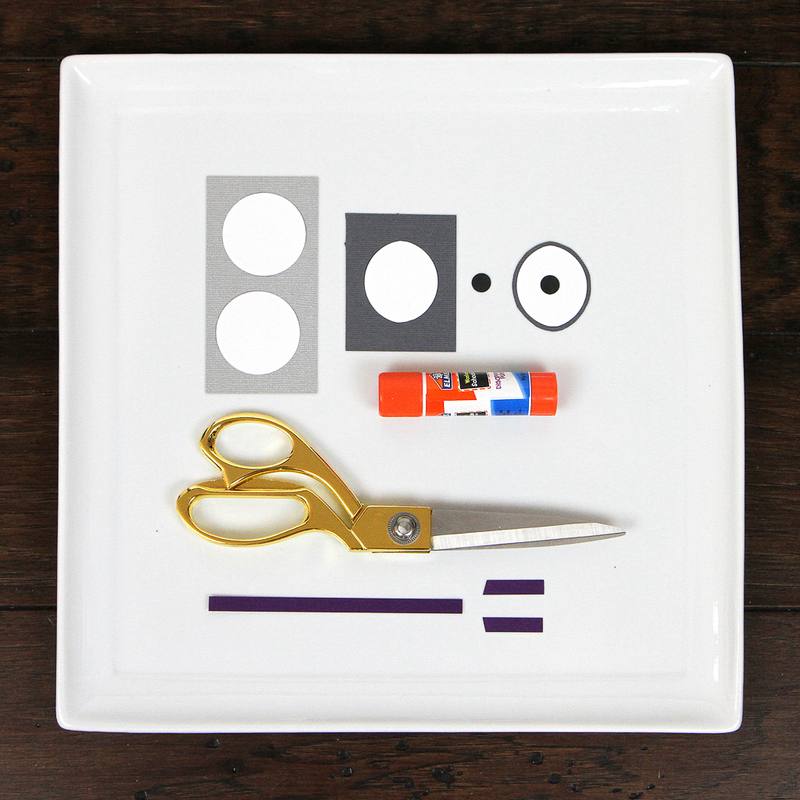 Fill the box with favors then top with remaining shape and adhere with masking tape. 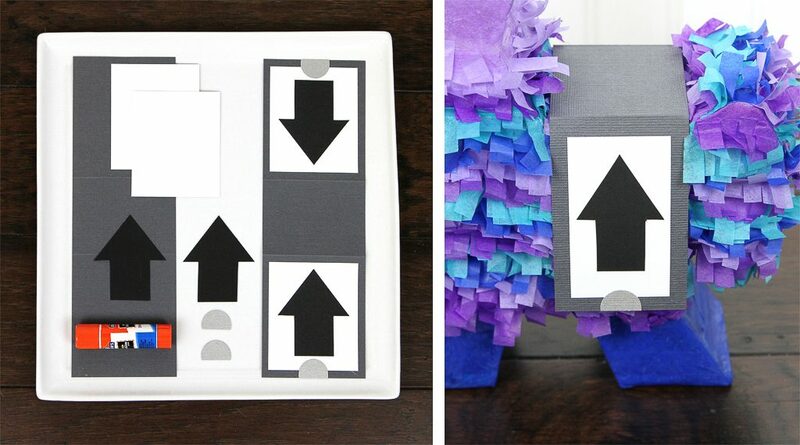 Guests can choose to either rip box open or carefully create a “door” in the back to remove the treats. Cover sides of the llama with fringe strips trimming them flush as necessary. 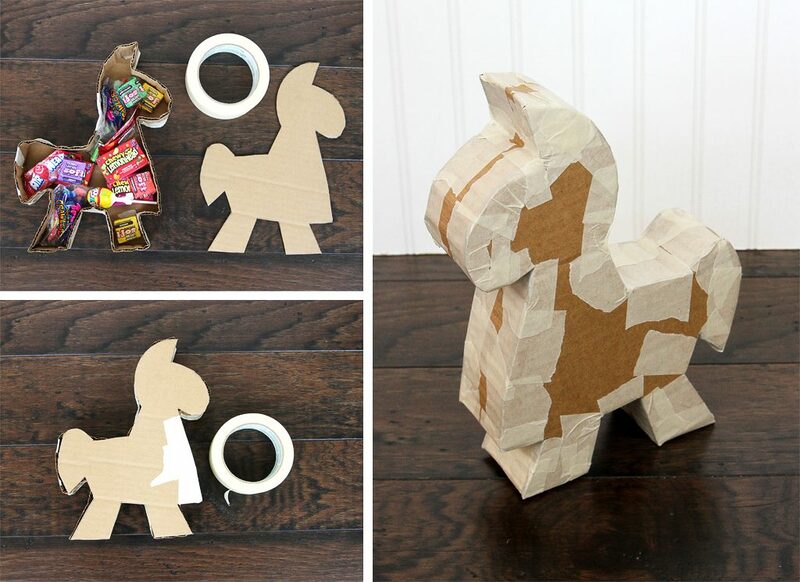 Construct “saddle” using cardstock pieces as shown in the picture. Our saddle base is 2” x 8” with white rectangles that are 1 ½” x 2 ½”. 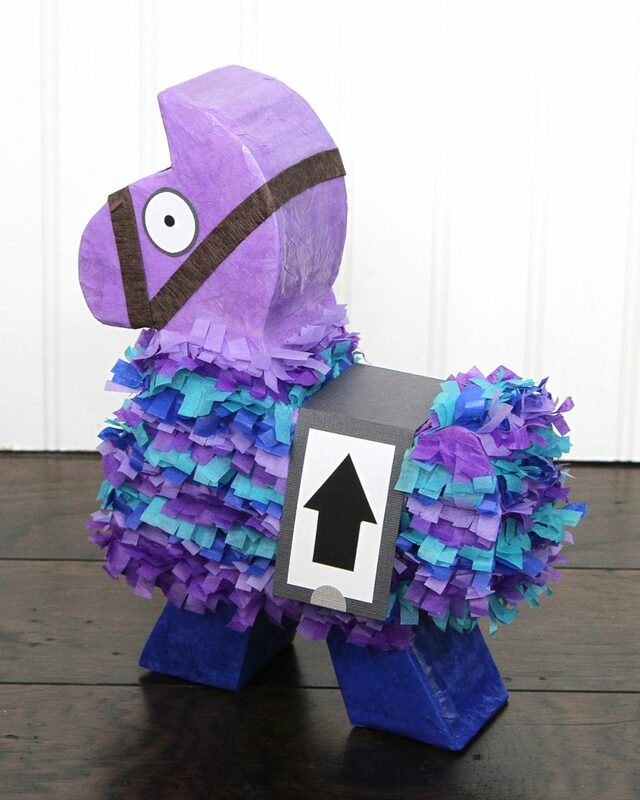 Adhere saddle to llama using hot glue. 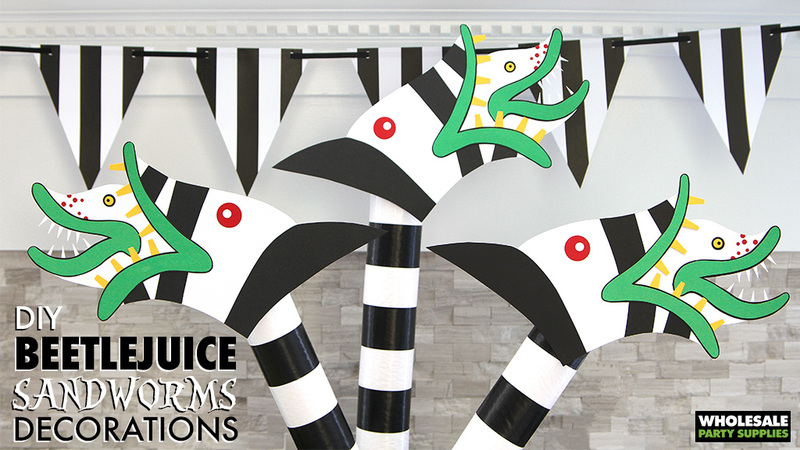 Use cardstock to create eyes and nostrils. 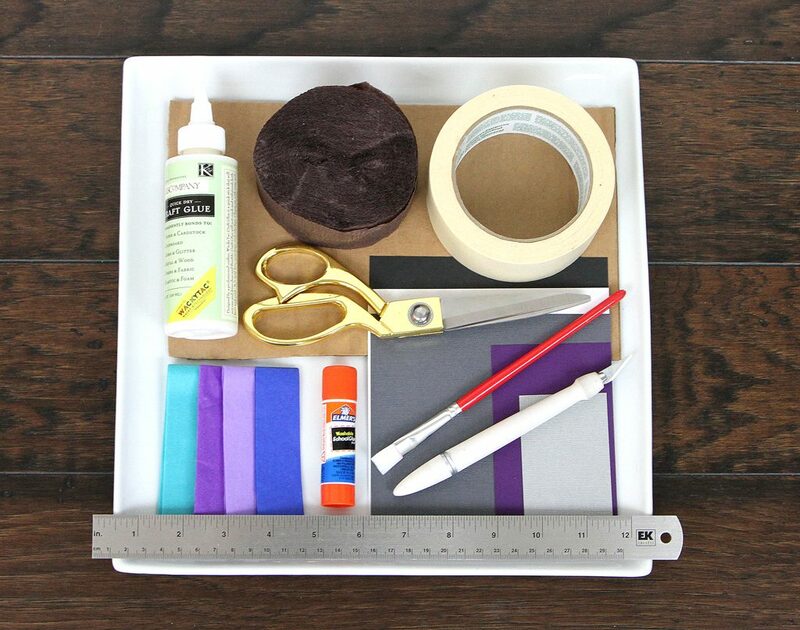 Attach to head with hot glue using a picture as placement. Fold a length of brown crepe streamer in half hot dog-style. Fold in half again, gluing as you go to secure. 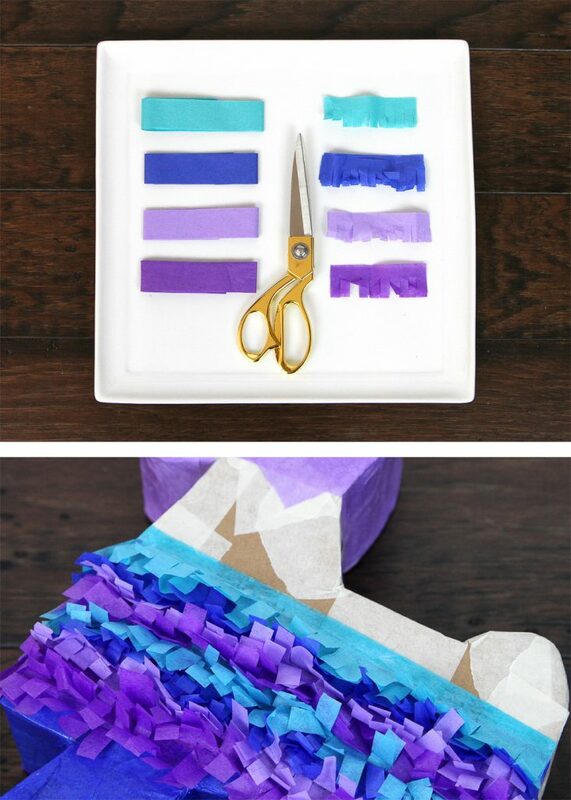 Wrap folded streamer around the head to mimic “reins”. Attach with hot glue where needed. Whether you use this as a favor box, decoration or scavenger hunt prize, it can now be treasured by all and taken off the list of rare finds! Looking for something that holds even more treasure? 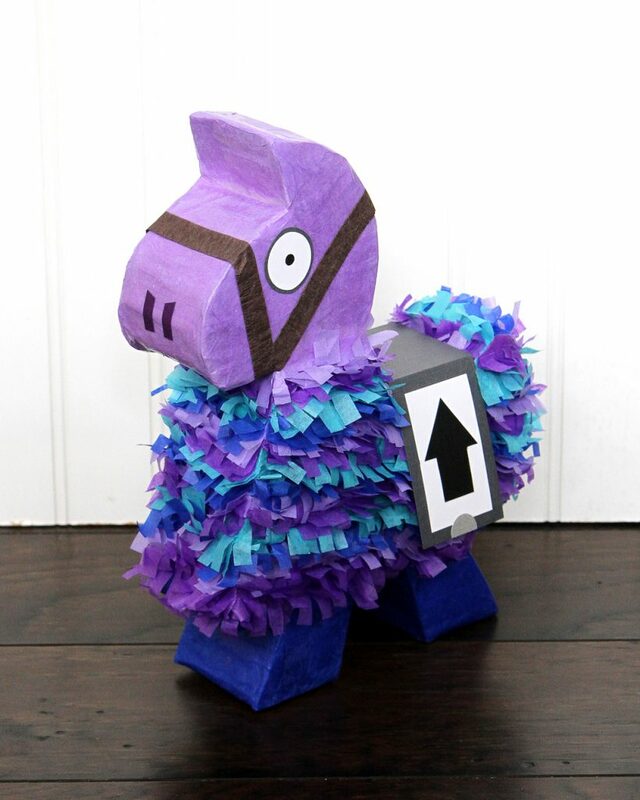 Check out our Loot Llama Pinata DIY. 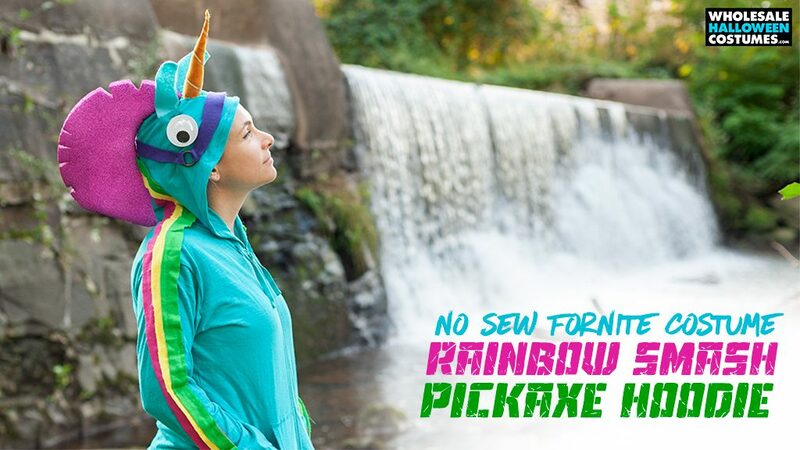 And if you’re committed to letting Fortnite take over your entire life you might be interested in checking out these two blog posts about putting on a new Fortnite skin for Halloween!